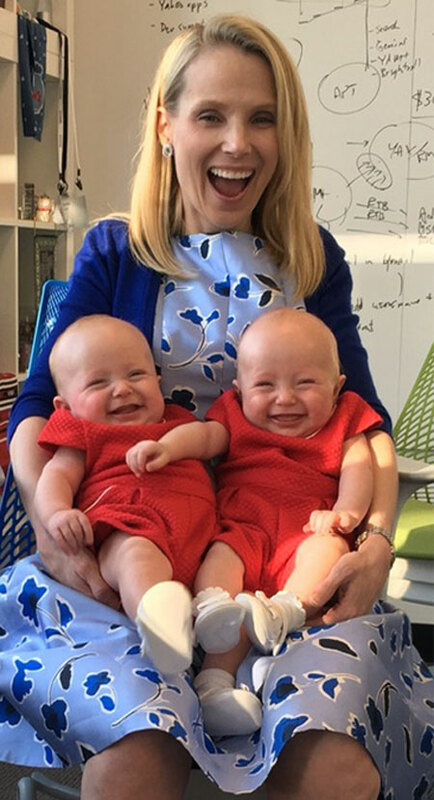 One late morning back on July 12, 2012, Yahoo and it's board members decided to make the former Google's vice president of search product and user experience, Marissa Mayer the next CEO of Yahoo! Now, 42-year-old, Marissa is a loving wife, a proud mother, an engineer and let's not forget to mention, the CEO of a $32 billion multinational tech company, Yahoo. 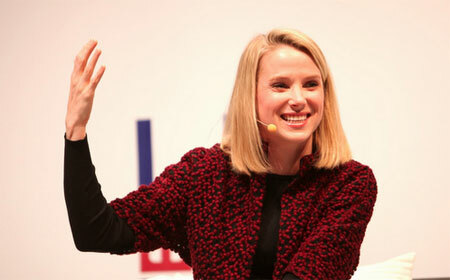 She's established quite a competition for other powerful CEOs like Mark Zuckerberg Facebook and Larry Page of Google. But one thing that creeps in everyone's mind is what her personal life is like? Is she a loving wife and mother, as we normally are and how does she even manage to take care of a family and a business worth billions? Let's find all about her in today's section! Let's find all about her in today's section! 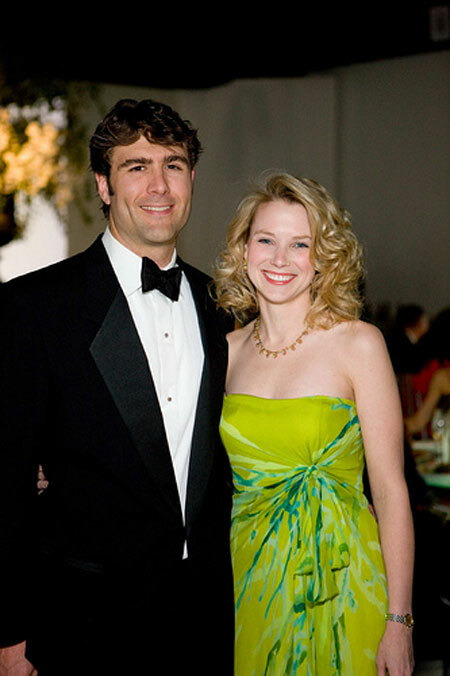 Before getting promoted to Yahoo's CEO, Marissa was known as Google's Employee No. 20. The gorgeous and talented Marissa was dating Zachary Bogue, a real estate investor for a long time. 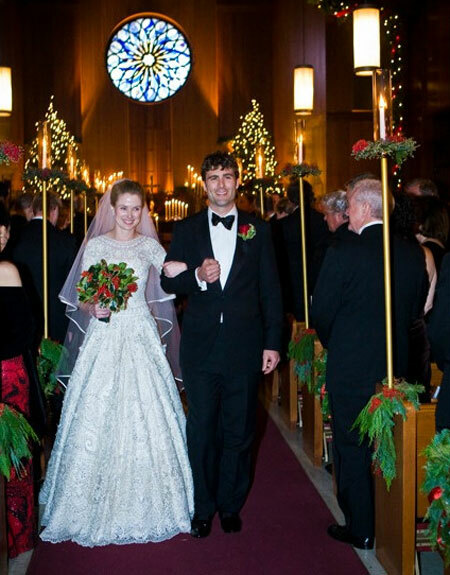 But on December 12, 2009, the pair finally made it official and got married in a lavish ceremony, in San Franciso. The lovely bride, Marissa wore handmade Naeem Khan's gown for the wedding while the handsome groom Zachary wore a Brioni tuxedo. They exchanged vows in the chapel on Treasure Island, San Franciso. And till now, the powerhouse couple is going strong together and they are one of the most powerful couples in America as Marissa is the CEO of a billion dollar company while her husband Zachary is a former lawyer and now real estate investor and co-founder of Montara Capital Partners. They have also been enlisted as Forbes 2017's Most Powerful Couples in the world so, hats off to them! Also, see; Sportscaster Michele Tafoya and husband Mark Vandersall's Married life. Do the couple have any children? But this is not the end guys, there's more. The powerful couple is now a power-packed family too, as they have three adorable children together. Their first son, Macallister Bogue was born on September 30, 2012, and later their twin daughters Marielle and Sylvana were born on December 10, 2015. The big family of five lives together in their grand penthouse of San Francisco's Four Seasons Hotel. A survey conducted by a startup called Owler( a search engine site) recently revealed the list of 50 most liked CEO of Public US companies. The list landed most of the tech CEOs but not in the most liked but the least liked CEO of US. And to our surprise, Marissa Mayer took the position of penultimate least liked CEO followed by the least liked of all, United's Oscar Munoz. Mayor did everything she could to save Yahoo and was paid millions of dollars, estimated more than $162 millions as salary and stock awards. But during her tenure, Yahoo faced several problems and security breaches including the one that happened back in 2016 causing massive password security breach affecting 1 billion of its users. Don't Miss; Director James Haggar married Naga Munchetty, Are they getting a divorce? The company suffered loss and layoffs and she made the decision to sell the company to Verizon's AOL unit for $4.8 billion which will close soon in June 2017. Well, the survey doesn't really affect the performance and the contribution of this powerful lady and recent news reveals that she will soon be replaced by Yahoo's new male CEO. Marissa was born on May 30, 1975, in Wausau, Wisconsin, the U.S to Margaret Mayer an art teacher of Finnish descent and father Michael Mayer, an environmental engineer. Marissa was pretty shy when she was a teenager. She attended Wausau West High Scholl and later graduated from Stanford University taking psychology, linguistics and Computer Science as major. She interned at SRI International in Menlo Park, California and joined Google in 1999. At Google, she was one of the outstanding employees and she has key roles in different Google programs like Google Maps, Google Books, Google Images and Gmail. 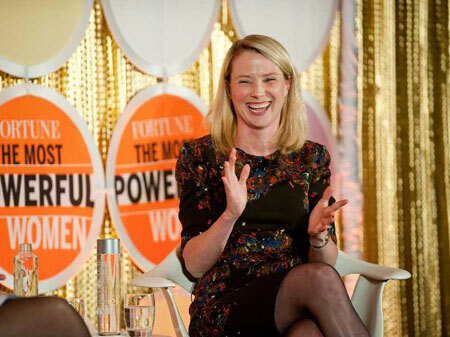 On July 16, 2012, Mayer was promoted as president and CEO of Yahoo which gained her massive fame worldwide. Apart from technology, she's a fan of high fashion. Mayer invented Google AdWords along with Weisberg, which has proved to be one of the successful products in the history of advertising. Mayer has a net worth of $540 million. All in all, we wish the couple best wishes for their forthcoming and forever happiness and togetherness.